Nokia’s forthcoming Lumia 635 is special. It is packing solid hardware along with LTE connectivity and an affordable price point. The new Nokia will be the first device packing Windows Phone 8.1 out of the box and it is the first Windows Phone to have on-screen navigation keys. This will also be the first Nokia Windows Phone without a dedicated shutter button for the camera. However, for devices to be affordable, and SIM-free below the $200 mark, some trimming around the hardware or feature set is unavoidable. Very often, high-speed data is one of the features sacrificed in favor of HSPA connectivity. CPUs get switched out for slower cousins. Cameras and system memory usually feel the pinch too. The Lumia 635 avoids the data pinch, and while it does have a slower processor than its flagship counterpart, the Lumia 930, it is still a quad-core Qualcomm Snapdragon 400 tuned at 1.2GHz, more than enough horsepower to handle the Windows Phone OS. Plus, because it is a Nokia, it has all the popular and well-made Nokia experience apps like HERE Drive, HERE Maps, and Nokia Mix Radio baked in. The 5MP camera on the Lumia 635 is not a ZEISS optics, PureView unit, but we know Nokia, now Microsoft Mobile, knows how to make cameras. All that is left is for us now is to get our hands on one. The Nokia Lumia 635 will be available on AT&T, T-Mobile, and MetroPCS in the US, and in other markets around the world. A great phone from Nokia. Should sell like hot cakes. Why did they not put 1gb of ram in this device. They just shot their foot once again. Even the lumia 525 that came out to replace the 520 has 1gb of ram. Some apps need 1gb of ram. Not to mention it would help future proof it. WP works fine with 512MB of RAM. If some of the apps aren't compatible with the lower RAM, that isn't the OS's or Nokia's fault. The developers have to update their apps since 512MB of RAM is still around & here to stay for a while. Even Google is pushing development for lower RAM with their current OS version. Moreover, the quad core CPU is what most consumers will look at as the main attraction in terms of specs while purchasing this handset. Don't you kid yourself. Ram is another important factor. There are some games that just don't work. Even Nokia's refocus app needs 1gb of ram when working with some photos. Also it means you can't have as many apps open in the background. had 512mb ram on the Lumia 521. I agree with you, sgodsell. This phone seriously needs 1gb of ram, especially with its price tag. It's not like the phone is priced $100. No flash, no front camera, only 512mb of ram. Edit: Oh wait I didn't noticed you mentioned it down there. Then I guess people should stay away from the 2gb of ram that is currently on some WP devices. Since its just a waste of ram in your eyes. I guess you don't believe in future growth or future proofing devices and/or OS's. They may as well have kept the 620 and 625 then. Because WP is not Android, it runs like butter, Android on those specs runs like a broken down Jalopy, besides There are games that have been optimized for low end, quit hating on the platform, You should love competition. WP has many of the most important apps and games, you clearly have not used the platform in a good while if ever at all. Maybe you haven't noticed Android is behaving more and more with each update like a closed sourced OS. Both closed and open sourced have their advantages and disadvantages i wouldn't say one is better than the other just different beasts. Besides with 8.1 WP is very flexible with the bevy of new features. Your comment belongs in 2010 not 2014. Still dealing with immature fools... Lol! I can't wait to get 930 Orange... Still one month to go. Bring it quick Nokia. But u r lucky too. Wait but still u going to get one. They WILL sell like hotcakes. Considering, hotcakes sell poorly. They need to rethink their hardware strategy. Nokia; Great design and quality, underwhelming specifications. They named it 635 to mislead people into thinking it is a 620 successor. It should be 535 if anything. This phone is NOT worth it for $200 or even $150. I know it has no rear camera flash or front facing camera. So no video skype, or selfies with it. All I wish it had was a FFC, then I could have bought this for my daughter rather than a 920 and saved some money lol. Nice windows phone in the price point. I can't wait to see how AT&T prices the 635. Maxwell, Great article, except for the part where it says that Nokia is now Microsoft Mobile. That is not true. 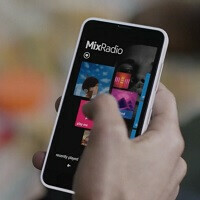 Nokia's former Devices and Services business is now Microsoft Mobile. Nokia is still Nokia, a separate company from Microsoft. You didn't have to mention Microsoft Mobile as the article had a great flow and was factual but if you are going to mention it, please be accurate with it. Here is the link to where you can see the 635 with AT&T branding: http://www.nokia.com/us-en/phones/phone/lumia635/ The AT&T branding is only on the swappable back cover so if someone didn't like the branding, you could probably buy a back cover from the unlocked/global 635 and use that instead. Thanks for the article. Yawn! I'll say it again. Absolutely ridiculous that they did not include a flash for the camera on this. That should be standard by now! They had a real chance to compete in the Moto G price space and I believe they blew it with this. Nokia is to all over the map with their models adding one thing and then cutting another.. Is it that hard for them to make a decent all around mid to upper range Lumia that has all the bases covered at a great price, Like the Moto G. & before you say well the G is lacking LTE.. I don't even miss it. HSPA+ on it works just fine. Great promo,,, and some folks font need 4GB of ram, ECT.. The phone just works!!!! Wow. Only a well optimized OS can run the way WP does on minimal specs. High end experience for a fraction of the cost.